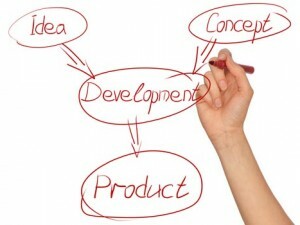 It is one thing to bring an idea into existence and another to transform the same idea into a product that will sell. This is what differentiates successful products from poor ones. The way a product is developed says so much about how it will be accepted by your potential customers. You can always design your product into something you can sell and work towards developing a successful enterprise. One very observable difference between failed products and best selling products is need. As a new business starter, your goal should be aimed at creating something that people need. It could be something missing in the marketplace that no one has ever thought of putting in place. It's not easy to think up an outstanding idea, so it is best advisable to always move around with a notepad, so as to scribble down any idea that pops in your head at any time. You are a good innovator when you can think of a great product to start with; you are a great innovator when you come up with multiple products to start with. Don't just settle with one model; think deeper and more, to avoid being stranded if one fails to work. Look around you, and observe the little needy things that no one pays attention to; that could be a new business idea for you. It is important that you use your product yourself, before taking it out to the public. Try it out on your own, and observe keenly how it works. It might need a little more adjustment, or could just be perfect and okay to be out for sale. This will help you to know what exactly your product is made of; its advantages and disadvantages. After creating and testing your product, who will buy it? Be sure of the audience you are directing your product to. If your product is based on sun-glasses, you wouldn't walk into primary schools to sell to them; you'd rather think of those at the beach, drivers, and those that spend more time under the sun. You can place your criteria on age range, socio-economic status, level of education, hobbies and interests, prejudices and opinions. The next step is you getting feedback from a small group of people assumed to be your audience. Gather a group of people and allow them try your product; give them the opportunity to provide feedback and let them know you need sincere feedback. However, it's best you go beyond the four walls of your home; after getting feedback from friends and families, try going out to people that'll give you sincere critics. Friends and families can't be 100% guaranteed; they might be nice towards you and your product out of love, but are they really sincere? You'll need to know what exactly you will need to actualize your product and put it out in the marketplace. You'll probably need cost of operation, overhead, outside expenses, worker salaries, and so on. Without a proper planning, your business might not move forward as it should. Move your plans from imaginary thoughts into a notepad. Draw a strategy for marketing your product to investors and customers. To secure the start-up cash needed for production, it's best you present your new product to investors. If your product is a relevant one that will be greatly needed in the society, and you have accurate plans for it, you'd get enough companies willing to invest in cash and kind.